Nanotechnology is the demanding field of science and technology. “Nanotechnology refers to the branch of technology that deals with the manipulation of matter on an atomic, molecular and supramolecular scale”. Nanotechnology is the field of science and technology of developing nanoparticles and materials that have the size within the range of nanometers. Building small materials and machines resulting into faster and powerful technology is Nanotechnology. Nanotechnology consists of working on the nanoscale (the scale that can’t be seen with light microscope due to its small size). One nanometer is one-billionth of a meter in size. Nanotechnology is the study of material that has the size in between 1 to 100 nanometers. It can be used in all other science fields like chemistry, biology, physics, materials science, and engineering. The concept of nanotechnology was first discussed by the famous physicist Richard Feynman in 1959. The word “Nanotechnology” was coined by the Norio Taniguchi in 1974. We are using nanotechnology products in our daily life. Nanotechnology is used in the manufacture of the number of products that we are used in our daily life. Nanotechnology products are used in metals, polymers, ceramics, and biomaterials. Nanotechnology is used in the production of high-tech materials or microscopic devices. Nanotechnology is used in the manufacture of clothes, sunglasses, cosmetics, etc. Silver nanoparticles are used in food packaging and household appliances. Nanosize components are used in DVD and CD players. In future nanotechnology might be used in developing new medicines and pharmaceuticals. In future, it is expected that amazing nanotech-based product will develop that include powerful tiny computers, advanced systems for drug delivery and many more. The nanotechnology has come to have a diverging impact on many aspects of our daily lives, the opportunities in this career field are growing rapidly. There is numerous of job sectors in which you can employed such as Environmental observing, control, Food science including quality control and packaging, Forensics, federal lab research, Military and national security, Energy capture and storage, Electronic industries, Material science including textiles, polymers, packaging, among others, Auto and aerospace industries, Sporting goods, Biotechnology, Medical fields and pharmaceutical and many more areas. Education in the field of nanotechnology is offered at postgraduate level and doctorate level. No institution in India offers bachelor courses in nanotechnology. Candidates can also opt B.Tech + M.tech in Nanotechnology (Dual degree) – 5 years duration. For admission to postgraduate courses in nanotechnology, a candidate must have passed the B.Sc in Physics, Chemistry, Mathematics and Life Sciences or B.Tech in Material science/Mechanical/Biomedical/Chemical/Biotechnology/Electronics / Computer Science from recognized University. For admission to Ph.D programmes, a candidate must have passed M. Tech in Mechanical, Chemical, Electronic, Biotechnology, Computer Science etc. or an M. Sc in Physics, Chemistry, Material Science, Biotechnology, Computer Science etc. IISC in Bangalore, Karunya University in Coimbatore, Osmania University in Hyderabad, Anna University in Chennai and Vellore Institute of Technology in Vellore has a dedicated nanotechnology research centers. Several Universities/institutions conduct their own entrance examination for providing admission. It is mandatory for the students to appear entrance test for taking admission. For admission to the M.Tech programme, Graduate Aptitude Test in Engineering (GATE 2019) is conducted every year. “Career opportunity in the field of nanotechnology is expanding rapidly”. Plenty of career options available for nanotechnology professionals. Opportunities exist in medical, healthcare industry research, environment industries, pharmaceutical, agriculture, product development and advising, communication, and media. The nanotechnology field is appropriate for scientists, engineers, and technicians. In the field of engineering, nanotechnology is used by engineers to develop computer components and microscopic sensors. As we know nanotechnology is used everywhere, so, the need of nanotechnology is demanding and changes it faces at every step. Aspirants can create their career in this field with better remuneration. The research studies in this field are the very good choice for those wish to pursue higher studies. The use of Nanotechnology is wide and vast such as in food science, in medical, in engineering, and many others. 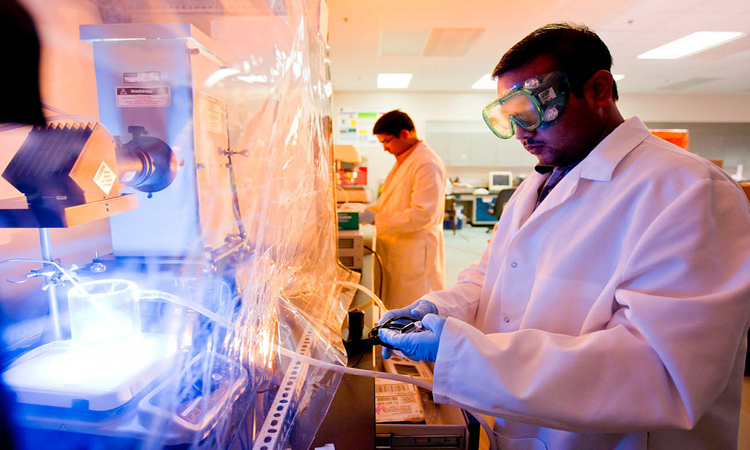 In US, the salary of nanotechnology engineering technicians ranges from $30,000 to $94,000. The starting remuneration in this field depends upon the industry. A fresher will gets the annual salary of around 3 lacs. Salary varies in the public and private sector. For more information about Career in Nanotechnology, you may ask us by commenting below. I love physics and I wanted to specialise in nanotechnology. What shall I do after completing +2.what course shall I prefer? ?Which are best college so that my way to the destination will be crystal clear? As am doing nano science and technology, 2nd year (integrated course)i have much interest on computer science, what would be my scope in computer science to proceed with? I am studying Bsc Medical bio nanotechnology, final year in chennai.I will finished my studies in may 31st this year, and i hope thr best result above 79 to 85 percentage. So could you help me to get a work ? Dear sir, am M. SC in Physics and M. Tech in nanoscience and technology. Here am having three years of research experience. I want to work in r and d companies. Please let me know. I am interested in taking admission in bachelor degree in nanotechnology. Dear sir,i am studying im m.tech(5 year) through nanotechnology, bioinformatics, information technology,neuro&coungro science,i want job in isro.what about job & salary? I have completed my BE in nanotechnology. I want to know which are the government jobs in this field and it’s salary. I am completed m.tech in Nanoscience and technology. Looking for research opportunities in energy sector. Still, not find any. What is the way for to go for nanotech im 12 now? I am doing eleteonics engineering…is there any option for me in nanotechnology??? And how can i do??? If you belong to EE, then of courses there is a choice for you in Nanotechology. I am complet 12 th in pcm sub ,I am interested nano technology sub in bsc. Please guide me about this subject…. I have done my B.Tech in Nanotechnology guide me how i can get job now. hello sir i’m satisfied with the information.I completed my B.Tech-Electronics,now i’m ready to do M.Tech Nano Technology.I’m from Andhra Pradesh,qualified in GATE.Please give me a suggestion to join in Andhra best colleges. Myself Mansi, completed 12th PCM and interested in nanotechnology. Please guide me about this field and tell me that is there chances for government jobs in this field and if yes than what’s the salary status in it. Please guide me. Thanking in anticipation. .bsc nanotech is better or b.tech is ? It’s very thoutfull and very imp for me ……..It gives lot of info…….